Tahmeed Taha: By vowing to take steps to immunize European firms doing business with Tehran from any US sanctions the European Union has moved to protect the 2015 Iran nuclear agreement. 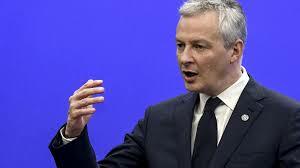 A day after Donald Trump announced the US would exit the Iran deal agreed with other major powers in 2015, and impose the highest level of economic sanctions against Iran; France also said yesterday that to protect European businesses, it would do everything possible. Next week, EU foreign ministers will meet their Iranian counterpart Mohammad Javad Zarif to offer personal reassurances they will take practical steps to protect the deal from sweeping US Treasury sanctions due to come into force over the next 180 days.The French finance minister, Bruno Le Maire, told France Culture radio yesterday, “The international reach of US sanctions makes the US the economic policeman of the planet, and that is not acceptable.” The French foreign minister Jean-Yves Le Drian told RTL radio that Emmanuel Macron, The French president, also spoke with his Iranian counterpart Hassan Rouhani yesterday afternoon by telephone about “our wish to stay in the agreement”. Trump’s decision to pull out of the Iran nuclear deal altogether was sharply criticized by EU foreign ministers, saying his decision had made the world less secure.